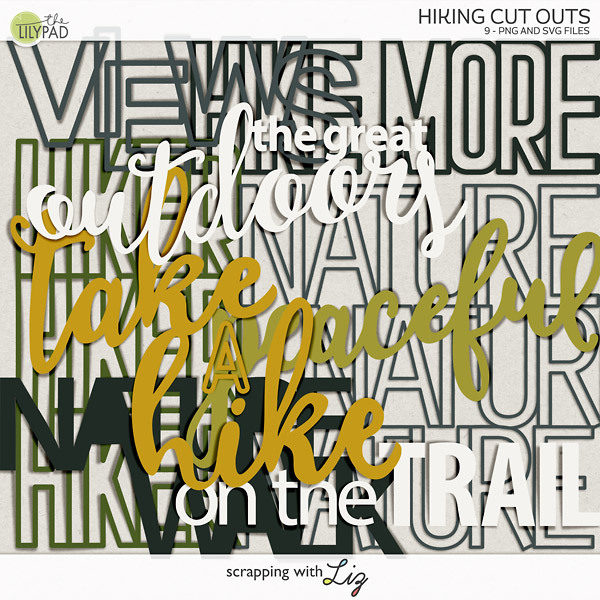 Scrapping with Liz: 2017 Week 1: I LOVE it! 2017 Week 1: I LOVE it! I just scrapped my first page of 2017, and I just love it. I love the style, the kits I chose and mostly I just love the pictures and memories filling up the pages. 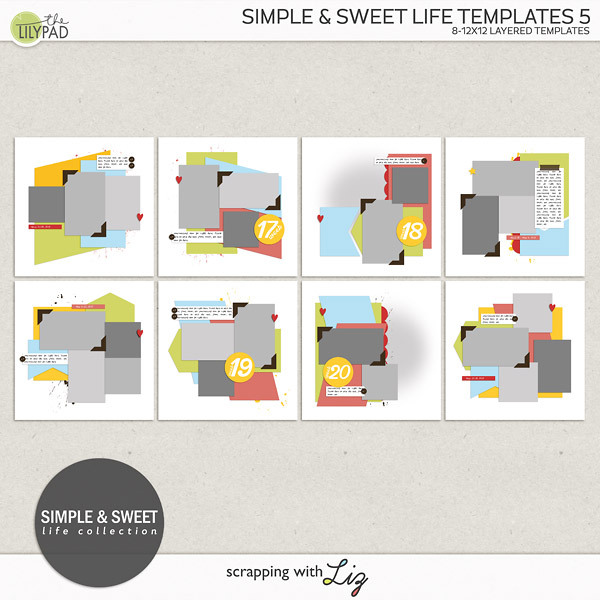 This year I have a new style of templates, similar to the My Life Template set I created in 2015. 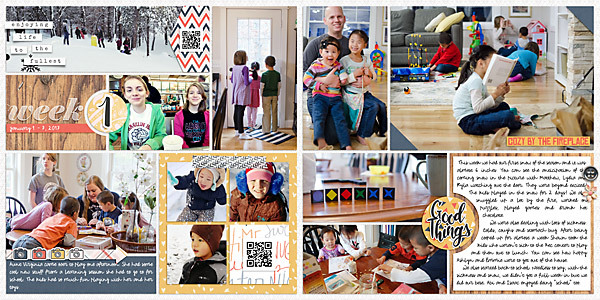 They fill the entire page with photos and there are plenty of options for journaling or journal cards. This year I've decided to use BYOC (build your own collab) kits to create my album. I love being able to choose my favorite pieces from each designer and there will be a fresh new line very month. I love the way the colors this month worked with my photos. Since I have goals to get a few other albums done this year, (our New House Album, China Album and Isaac and Abi's Album), I'm going to keep these super simple. I think I'll stick few elements, layer styles for my titles, and a few journal bits thrown in. What about you? Are you doing some kind of weekly album? Month of Challenges - Week 3 Complete! 2017 Week 2 is in the books! The Final Week of 2016 & My Cover Page! 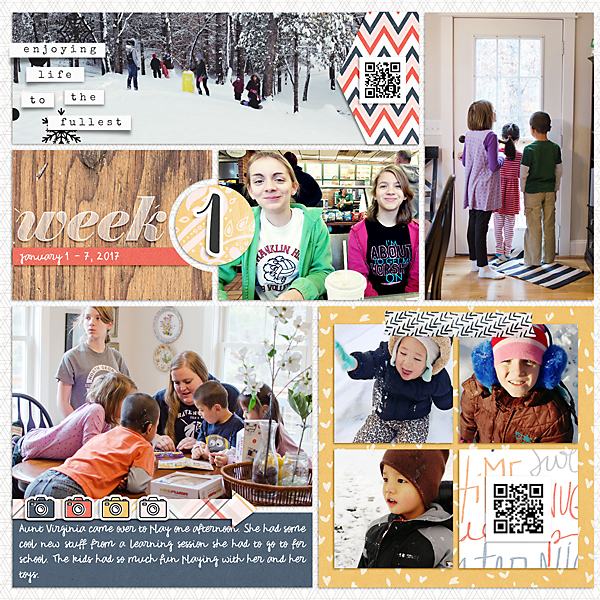 2016 Pages Scrapped and What's Comin' in 2017!